Your band might break up. It’s hardly the most optimistic forecast, but it’s one that, realistically, every musician needs to consider. With that consideration may come the realization that you — or one or more of your bandmates — may want to continue to perform under the band name, even if one or more members are no longer affiliated with the band. Who gets to use the name of your band after the dreaded “split” or after someone gets kicked out? Unfortunately, if you’re like most bands that find themselves in this position without a formal agreement in place, you won’t “get no satisfaction,” won’t get a black-and-white answer, as the rights to use your band’s name won’t necessarily fall to one member or another, and will likely be determined by federal trademark law. 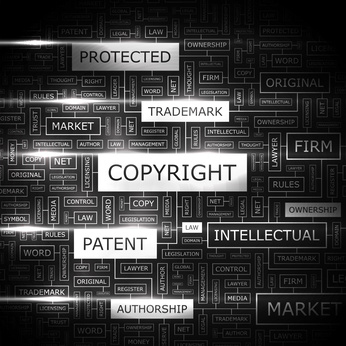 Under U.S. law, the owner of a trademark may sue to prevent another person or entity from using an identical or similar trademark that is likely to confuse purchasing consumers as to the source of the goods or services offered under the mark. This includes the names of bands, under which members of that band perform, sell albums, concert tickets and merchandise. If a Van Halen fan, for instance, stops by a local dive and sees that the night’s musical line-up includes a new local band named “Van Halen,” it is easy to imagine that fan thinking, even briefly, that he had just won the live music lottery. And if the famous foursome from Pasadena happened to find out about this new “Van Halen,” the original band would likely be able to sue for trademark infringement. The history of rock ’n’ roll is littered with examples of the problems that a band may encounter over the future use of its name. One classic example is Bell v. Streetwise Records Ltd. In that case, the R&B group New Edition — said to have been the progenitor of the boy-band craze — sued Streetwise Records for use of the name New Edition, which Streetwise had decided to use for a new group once the original members switched labels. While the members of the group had initially signed employment contracts granting Streetwise exclusive rights to use the New Edition mark, ultimately, a U.S. federal appellate court decided that these contracts contemplated only use of the New Edition mark in connection with the production and sale of records. When the case came back to the lower district court, the judge held that live musical performances, in fact, were the primary “good” offered under the band’s name, and that consumers were apt to think of the band (as opposed to the record company) when they heard the name “New Edition.” Thus, the judge held, the name belonged to the band. Yet, as most musicians know, some of a band’s more serious disputes lie not with the record company, but between members of the band themselves. While Bell v. Streetwise seems to indicate that, without an agreement expressly to the contrary and at least with regard to performances, rights to use a name belong to the band, rather than to its record company, this provides little help in situations where one or more of the band members leaves or is kicked out of the band. For instance, in Kingsmen v. K-Tel International, Ltd., the band made famous by the song “Louie, Louie” successfully sued former lead singer Jack Ely for recording that song on an album under his former band’s name, The Kingsmen, which was still being used by the group’s remaining members. In another case, Grondin v. Rossington, the widow of Lynyrd Skynyrd’s lead singer Ronnie Van Zant sued the group’s remaining musicians for using that band’s name on tour almost a decade after Van Zant was killed in a plane crash. A federal district court in Washington ultimately ruled that Cosmo’s use of the name Boston fairly described the nature of Cosmo’s performances and thus was not infringement. Other bands that have run into this particular problem include Live, Stone Temple Pilots and the 1980s band Great White. While it may be a rather general recommendation, to avoid disputes and uncertainty as to ownership rights in the band name, it is best that the members of a band formally agree, in writing, to terms that will govern the business conducted by its members after the band breaks up or after the departure of any of its members. Sheri Hunter is counsel in the Austin office of Fulbright & Jaworski LLP. A member of the intellectual property group, Hunter focuses on U.S. trademark and copyright law. She has extensive experience counseling clients in the areas of trademark, copyright, e-commerce, multimedia, software licensing, advertising, website policies and trade secrets. This includes evaluating potential marks and conducting availability searches, developing strategies for protecting intellectual property, enforcing trademark rights and overseeing trademark disputes, prosecuting trademark and copyright applications, managing intellectual property due diligence reviews including transfers of patents, trademarks and copyrights in connection with mergers and acquisitions; litigating and mediating trademark, copyright, trade secret, patent and unfair competition cases; conducting trademark oppositions and cancellation proceedings before the Trademark Trial and Appeal Board; conducting domain name disputes via the ICANN arbitration procedure and preparing and negotiating intellectual property, software and technology licenses and agreements. Justin Haddock joined the Austin office as an associate in September 2012. He is a member of the Intellectual Property and Technology Law Department. Time honored music biz story, great read for anyone just starting out in this industry! “this can happen to you” oh it has!